St Paul’s Homes comprises 12 one-bedroom flats and are located in the heart of Salisbury. They meet a key strategic need in the area, providing much needed sustainable housing for people in Salisbury who have experienced homelessness and are ready to move on to independent living. 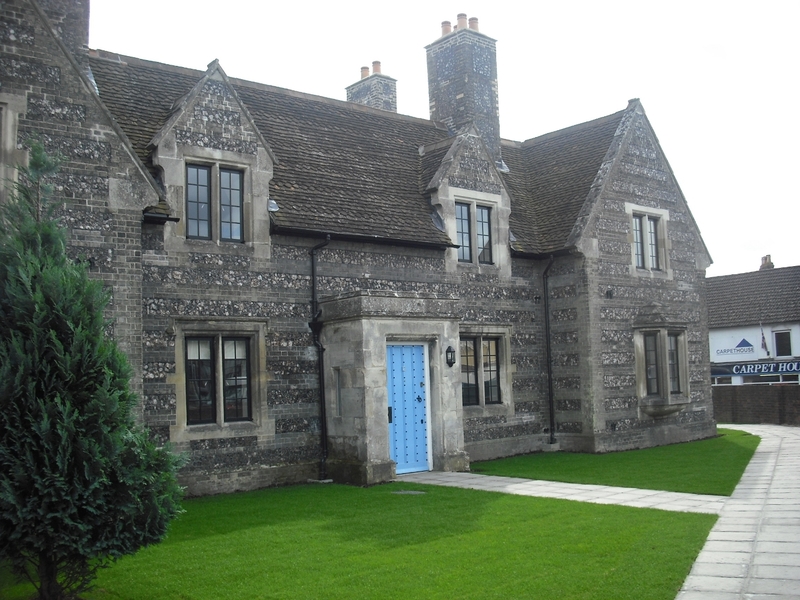 These grade two listed almshouses have a long history of providing accommodation for the most vulnerable members of the Salisbury community. They were originally opened in 1863 to provide suitable homes for women with limited incomes. In 1961 the six houses were converted in to 12 flats by Salisbury Round Table. They provided accommodation for many years, until unfortunately due to financial pressures and increased maintenance costs, the flats were judged unsuitable for tenants. When we acquired St Paul’s Homes, they had remained unoccupied for over eight years and were consequently in a derelict state and in need of much restoration work to make them habitable again. Much work was needed to the exterior of the building, including weather proofing to the roof, with all materials used remaining consistent with the building’s listed status so as to maintain the character of the building. Each flat has a bedroom, living room, separate kitchen and bathroom, all of which have been fully refurbished and redecorated. Extensive work was carried out internally, including damp proof works, repairs to plaster work, additional insulation to floors and roofs, sound proofing and new kitchen fittings. St Paul’s Homes were officially opened to residents in November 2012 by the Bishop of Salisbury, the Right Reverend Nicholas Holtam. We really hope the residents of the flats will enjoy their new homes and will create a community there, helping people to further develop their skills, regain their self esteem and move forward with their life. The successful development of St Paul’s Homes is a result of a strong partnership between BCHA and Salisbury Trust for the Homeless (STFH). BCHA and STFH would like to thank everyone who has supported this appeal, including individuals within the local community, Charitable Trusts, Salisbury City Council, Salisbury Rotary Club, Salisbury Quakers and Stratford-sub-Castle community group. Support has also been received by CRASH, the construction and property industry’s charity for homeless people, who have not only supported the appeal through a cash grant, but also by providing free and discounted building materials.